Drew and Schmitty talk with John from Modist about collaborations and latest releases. Also, Drew takes a trip to Karst Brewing and Maiden Rock Winery & Cidery. This entry was posted in Episodes and tagged cider, Modist Brewing on July 31, 2018 by Andrew Schmitt. Drew and Schmitty talk cider, new breweries, and how to finance a brewery. This entry was posted in Episodes and tagged cider, Forager Brewery, Little Thistle Brewey, MN Cider Guild on June 11, 2018 by Andrew Schmitt. This week, Drew and Schmitty record from the new Town Hall Station and talk news with MN Beer Activists contributor Donovan and they preview the NE Brewers Block Party with Jim from Sociable Cider Werks. 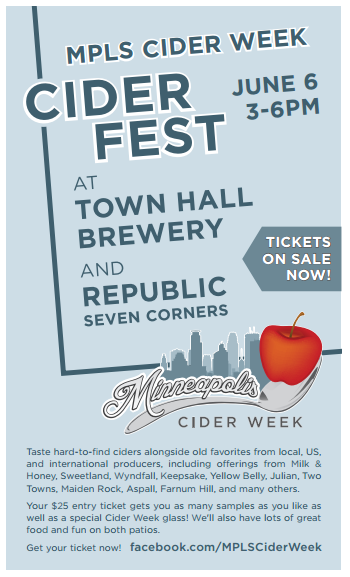 This entry was posted in Episodes and tagged cider, Edina, Minneapolis, Minneapolis Town Hall Brewery, Sociable Cider Werks, Town Hall Station on August 12, 2017 by Andrew Schmitt. This week we’re talking cider! Jim from Sociable Cider Werks gives us the skinny on their latest concoctions, and Shelly from Town Hall Tap talks about their upcoming Minneapolis Cider Week. We also get a call from Brett Glenna, who won last years Cider Week cider making competition. Finally, Blake from LTD Brewing checks in to talk about their one-year anniversary. This entry was posted in Episodes and tagged cider, Mpls on May 29, 2015 by Andrew Schmitt.